The average adult goes to the restroom six to eight times a day. Whether at work or in a public place – there is a phenomenon that happens when your body freezes up and refuses to release. It’s called “shy bladder” and it happens to nearly two million consumers who can’t go when they need to. The reason? Because public bathrooms are simply too quiet. Cashmere and its agency Maxus saw this condition as a way to help those who can’t go when they need to – and leverage this insight to create a positive brand experience outside the usual “softness” benefits portrayed by competitors in the bathroom tissue category. 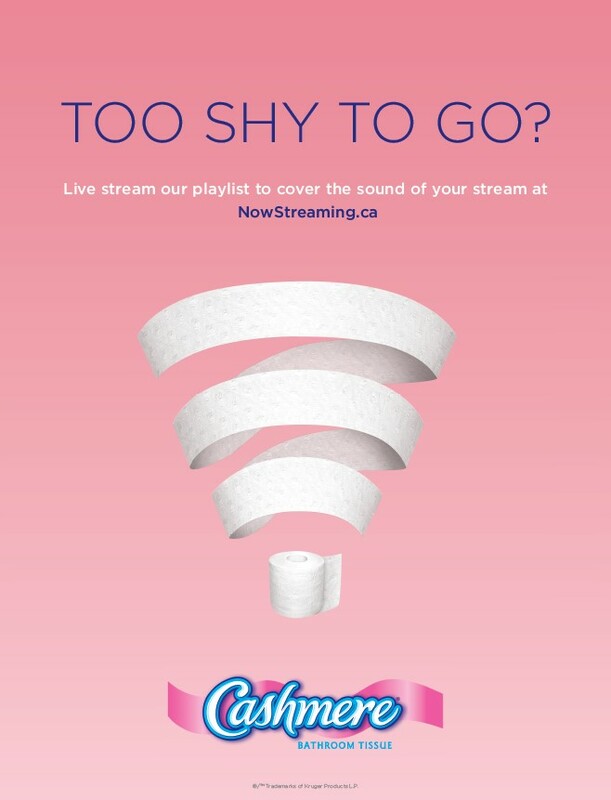 The strategy focused on targeting that critical moment of anxiety when “shy bladder” hits, with the brand installing a device in bathrooms that live-streamed music to (essentially) cover up people’s streams. The team created a network of interactive units that were placed within targeted public female bathroom environments where “shy bladder” was most likely to occur, specifically office towers and urban, upscale restaurants. It then made the “Now Streaming by Cashmere” playlist available online for anyone on the go. Initial home scan readings showed an immediate positive impact on sales. After only two months, the installations were used over 2.17 million times – creating an incredible 38,500 daily Cashmere branded bathroom tissue experiences across offices and restaurants and exceeding reach estimates by nearly 20%. And with nearly 10 million impressions delivered across this campaign, the brand has helped more than 65% of Canadian “shy bladder” sufferers by creating a positive bathroom experience so they can go, whenever they need to.